The spoons are available in three sizes 150mm, 180mm, 210mm and have a streamline handle with a deep, rounded bowl on both ends. All Clifton tasting spoons are made from high quality stainless steel. 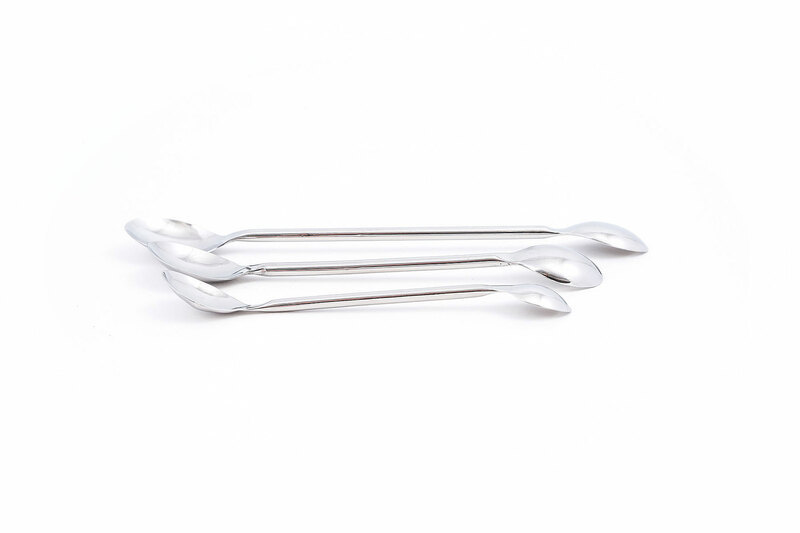 The 150mm and 180mm spoons will fit neatly into the sleeve pocket of the chef’s jacket giving the chef the comfort and convenience of having a spoon to hand when tasting. Manufactured in the UK from high-quality, food-grade stainless steel.